Eng (seh-SEE-lee-yuh); Lat (kay-KEE-lyah); Italian (chay-CHEEL-yah). This four syllable, melodic name has been in usage throughout the Western World since the early Middle Ages. Thanks to the cult of Saint Cecilia, an early Christian martyr, considered to be the patron saint of music and musicians. However, these were only epithets used by the early English writer describing the wondrous attributes and virtues of the saint, and should not be confused for its real meaning. The name is a feminine form of the Latin Caecilius which comes from the word caecus meaning blind. The name was introduced into England after the Norman conquest in the form of Cecily (SES-ih-LEE). The name was very popular in England until the Protestant Reformation where it fell out of usage. Its Latin counterpart of Cecilia was not introduced into the English speaking world until the 18th-century, afterwards, its early English form of Cecily became quite popular during Victorian England. Czech diminutive forms are: Cecilka, Celia, Cilia, Cilka and Cilinka. English diminutive forms are: Cece, Celia and Sissy. The designated name-day is November 22nd. The name comes directly from the Latin word for moon, and it was the name of a Roman goddess, the counterpart to the Greek goddess, Selene. Luna had a temple dedicated to her on the Aventine Hill in Rome in the 6th-century BCE. Including another temple dedicated to her on the Palatine Hill, Luna Noctiluca, (luna that shines by night). Luna, as a word, has transferred over into other languages, it is the Spanish, Romanian, Italian, Bulgarian and Russian word for moon. She is rising occasionally used in Bosnia, Germany, Poland and in Italy. There is also the French, Lune (literally, the French word for moon), which is also becoming more prevalent in France, and the Dutch corruption is Loena, (a phonetic Dutch spelling to reflect the true Latin pronunciation). In France, its designated name-day is August 4th. Before I get into the history, I just want to say that I quite like this name. He has the same trendy vibe as Corbin and the sophisticated feel of Sebastian all wrapped into one. With the popularity of other trendy male K names, I could see this picking up in the United States. If only more Anglophones were aware of its existence..
Korbinian does share a common ancestor with Corbin. Both names are derived from the Latin corvus meaning “raven.” It may have actually been a Latin translation of the German male name, Hraban (raven). Korbinian’s roots are Latin, but its usage seems to be isolated to Bavaria and Austria. 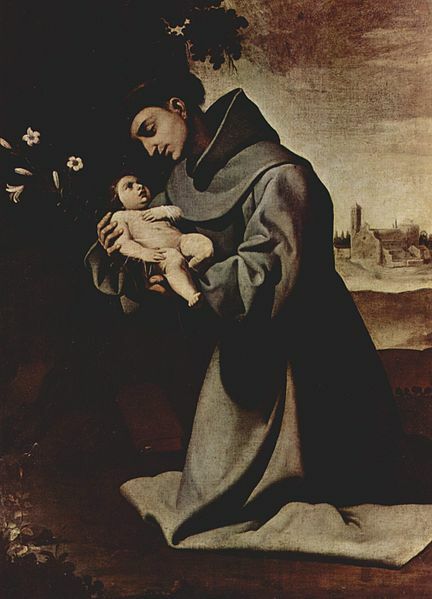 The reason being is that the name is connected to a 7th-century Frankish saint who was known for converting the region of Bavaria to Christianity. Interestingly enough, he was not borne as Korbinian, his real name was Waldegiso, being named after his father. For reasons unknown, his mother who was named Corbiniana, decided to rename her son upon her husband’s death, making him a junior of herself. St. Corbinian had lived as a hermit in France, he was very popular among the locals, who would often visit him and listen to his sermons. One day, he decided to make a pilgrimage to Rome, where he met with the Pope, who convinced Corbinian to quit the life of a hermit and instead evangelize the Germanic tribes on the French border. He was delegated by the Pope to administer to the Duke of Bavaria. Corbinian was made the first bishop of Freising. According to legend, while on his way to Rome, Corbinian was attacked by a wild bear. He managed to tame it and made the animal carry his belongings all the way to Rome. Upon his arrival to Rome, Corbinian set the bear free. 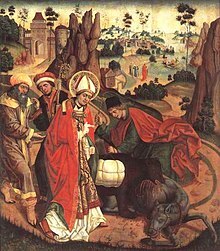 It is often believed that the story was apocryphal, a way to symbolize the saint’s conversion of the ferocious German tribes to docile Christians. His motifs and symbols are often the bear. The bear, (which is in reference to St. Corbinian), is found in Freising and Bavarian heraldry. In fact, the current pope, Benedict XVI, was previously the bishop of Freising-Munich when he assumed the Papacy, he integrated the bear into his papal coat-of-arms, in honour of St. Corbinian. The source of Corbinian’s life can be found in the Vita Corbiniani written by Bishop Arbeo of Freising. Possible nickname options are Korby and Binny. The Latin spelling is Corbinian. This form is also used in Germany. It feminine form of Corbiniana is not a bad choice either. With the recent interest in such names as Cordelia and Georgiana across the pond in Britain, this might make an appealing alternative. Currently, Korbinian is the 227th most popular male name in Germany, (2011). The name is possibly derived from the Latin, verus, meaning “true.” Others have suggested that the name may actually be of some unknown Egyptian source. The name was borne by a 3rd-century Egyptian saint who found her way to Switzerland while marching along with the Theban legions. 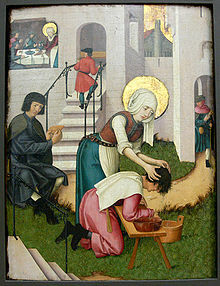 She is considered the patron saint of hairdressers as she was known for converting young native Swiss women to Christianity while washing and styling their hair. There is a shrine dedicated to St. Verena in Zurich, Switzerland. The name has been popular in Germany and Switzerland and has even experienced some usage in the United States during the 18th and 19th-centuries, no doubt, brought over by German immigrants. It is also an especially common name among Mennonite, Hutterite and Amish families and is a popular name among Egyptian Christians. It is also the name of a fictional goddess in the popular fantasy/video game series Warhammer. 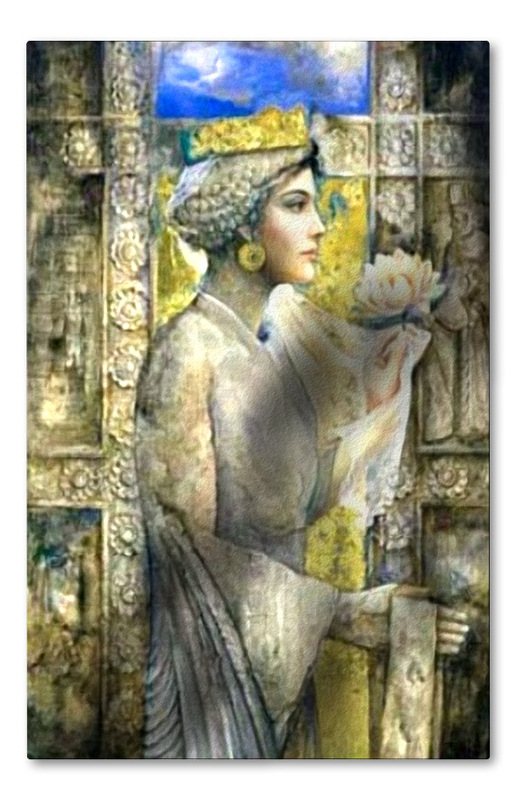 She is the goddess of healing and learning and is based on both Minerva and Athena. Currently, Verena is the 383rd most popular female name in Germany, (2011). Eng (reh-JEE-nah); Old Eng (reh-JYE-nah); It (ray-JEE-nah); Sp (rey-HEE-nah); Pol/Russ (reh-GHEE-nah). The name is of late Latin origins and in the Middle Ages, was popularized by a French saint. Saint Reine/Regina was a virgin martyr whose cult was especially popular in the area of Autun France. Her feast day is September 7th. 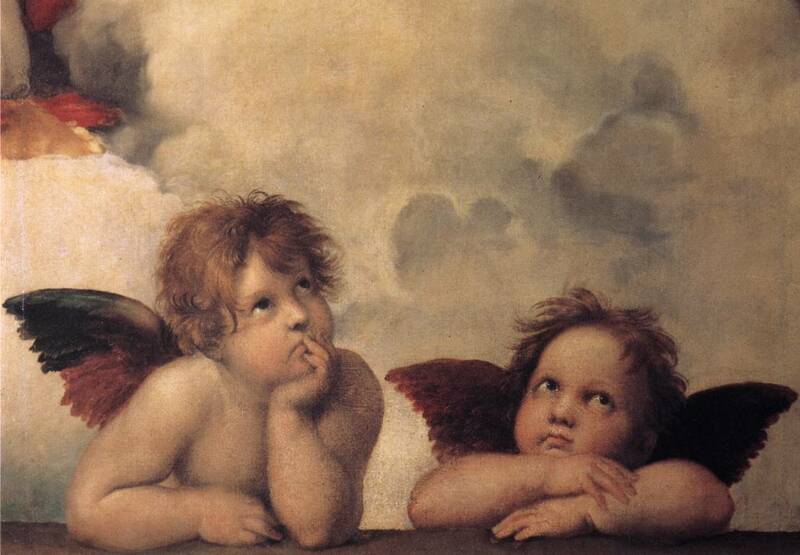 In Medieval England, the name was used as a epithet for the Virgin Mary, referencing her as Queen of Heaven. The name fell out of usage after the Reformation and was revived in the 19th-century. Other famous Reginas include a concubine to Emperor Charlemagne (708); she was the mother of Drogo and Hugh. Currently, the name is borne by Regina Spektor (b.1980). An obscure Italian male form is Regino. In regards to the subject matter, I had to give myself a crash course in Roman naming conventions, though always fascinated with ancient Roman life and culture, and rather familiar with Latin names, I needed to give myself a few weeks to digest exactly how Romans bestowed names upon their children. Whilst exploring history books from that time period, I have often run into some pretty spiffy names….names so spiffy that I thought they merited usage by a modern-day parent. Since Roman history actually spans several centuries, various naming conventions went in and out of style throughout its glorious history, from the early Kingdom all the way to Byzantine Empire. 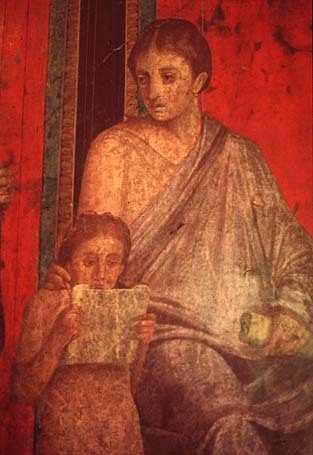 His mother or father might address him as Marcus, his friends as Caesar, and in extreme formal circumstances, he would be addressed by his full name. If he was not associated with a gens, he would have two names, Marcus Tullius, and be referred to either as Marcus Tullius or just plain Tullius among friends and neighbors. The praenomen would be the equivalent of a given name, this was the name used in everyday usage, usually only among family or very close friends. Since there was such a scarce selection of praenomina, usually handed down in one family for generations, it became sufficient to add an extra name to distinguish individuals from each other, that is the cognomen. The nomen, the second name, is a bit tricky to explain. This functioned as a sort of surname, but also identified you with a particular clan, or gens, family that you were related to. Clans were the earliest settlers of Rome and their ancestors passed down their names for generations. They were either descriptive (e.g. Julius “downy-beard) or referenced a geographical location. The cognomen was a name that was used outside the household, it functioned as a given name, but would be more like a nickname. This would help distinguish several Marcus Aurelii’s from one household from each other. Later in the Republic, the cognomen served its purpose as an actual inherited given name. In the early days of Roman society, females were usually just given the feminine form of their father’s gens’ names (e.g. Aurelius-Aurelia) and to distinguish several sisters in one household, an extra name which described their birth order or age, was often appended to the gens name. Hence, if the Aureliis had 3 daughters, all three would be named Aurelia, but to quench confusion the three sisters might be referred to as Prima, Secunda and Tertia (First, Second, Third). If it was two daughters, then it was popular to refer to an older Aurelia as Major and a younger Aurelia as Minor. Towards the middle to the end of the Roman Republic, Roman female names became more varied, and Romans started to veer away from the tradition of just using a feminine form of the father’s gens’ name. Many females were given or adopted a cognomen. Some females were given the feminine form of the father’s name, named after a female relative or sometimes given the diminutive form of an aunt or grandmother’s name, (e.g. Livilla, the sister of Germanicus and Claudius was named for her grandmother Livia). 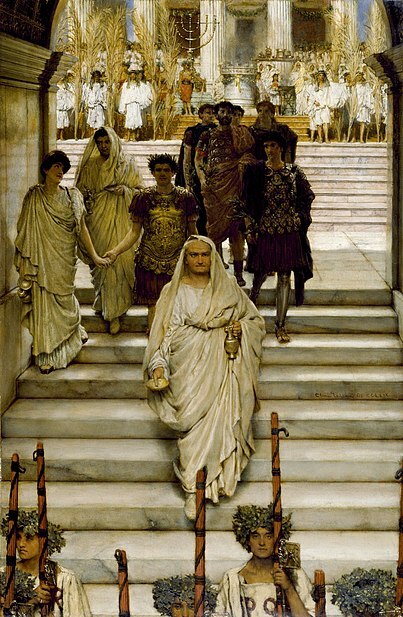 During this period, Romans also liked to name their girls after famous Roman women, such as Julia (the daughter of Caesar). In fact, Julia became one of the most popular Roman female names during the reign of Julius Caesar, even if the family was not a member of the Julii gens. If you are a parent looking for a legitimate yet unique name with class, then I would suggest you scour the works of Pliny, read Virgil’s the Aenead or consult the below list. Enjoy! Emily is just the English feminine form of the Germanic, Emil. It is believed that Emily was introduced into the English speaking world in the 18th-century, after the German Hanover line had inherited the British throne, but evidence shows that Emily had been in usage in England since at least Norman times and that it may have been introduced through the Normans in 1066. 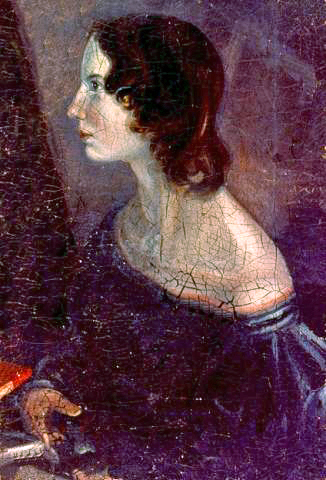 The name was borne by famous American poet, Emily Dickenson (1830-1886) and by English novelist and poet, Emily Brontë (1818-1848). In modern history, Emily has been extremely popular in the English speaking world for at least a decade. She is currently the 3rd most popular female name in the United States-2008, and was # 1 in 2007, but was overthrown by the similar sounding Emma. The lowest that Emily has ranked in U.S. history was in 1962, coming in as the 274th most popular female name. Its masculine counterpart has never been widely used in the English speaking world, but has been a long time favorite in Northern Europe. The last time Emil was seen in the U.S. top 1000 was in 1984, coming in at # 967. The highest that Emil ever ranked in U.S. naming history was at # 90, back in 1881, the same year that the United States saw a huge influx of Scandinavian immigrants. Currently, Emil is the 5th most popular male name in Norway (2007) and the 9th most popular in Sweden (2007). Emilia (Italian/Dutch/Estonian/Faroese/Finnish/Polish/Romanian/Scandinavian/Spanish: 16th most popular in Chile-2006; 97th most popular in England/Wales-2008; 18th most popular in Sweden-2007). The name-days for Emily/Emilia are: May 19 (Finland); May 23 (Poland); June 24/30 (Poland); July 19 (Hungary); August 19 (Poland); November 14 (Sweden); November 24 (Poland/Slovakia). The name-days for Emil are: January 31st (Slovakia); May 22 (Czech Republic/Poland); May 28 (Hungary); July 18 (Bulgaria); August 5/8 (Poland); August 8 (Bulgaria); October 6/11 (Poland). The masculine and feminine forms are borne by several saints and Emilia is the name of at least three Shakespearean characters. Common English diminutives are Em, Emmie and Millie. A Spanish diminutive is Emilita. A Slavic diminutive is Emilka; in Polish it is sometimes Milcia.